Earls Pork Back Ribs is a family favourite. Easy to prepare and loads of flavour, you can't go wrong with this one! Lift and peel membrane from back of each rack of ribs. In a jar with a tight-fitting lid, mix all rub spices together and shake well until blended thoroughly. Rub generously over all surfaces of ribs; cover and refrigerate up to 12 hours. Roast ribs on a foil lined baking sheet at 350°F (180°C) for about 1 1/2 hours. Cover loosely with foil if ribs are browning too quickly. Meanwhile, in a small saucepan, combine barbecue sauce ingredients. Bring sauce to a boil. Reduce heat to low and simmer uncovered 30-40 minutes or until sauce thickens slightly; stirring occasionally. Remove ribs from oven when done. 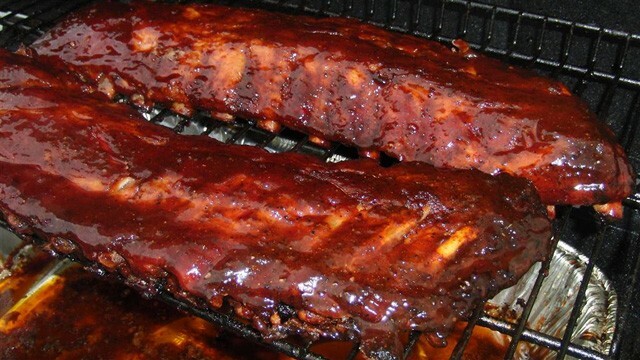 Place ribs on pre-heated barbecue about 5-8 minutes per side, basting frequently with warm sauce.